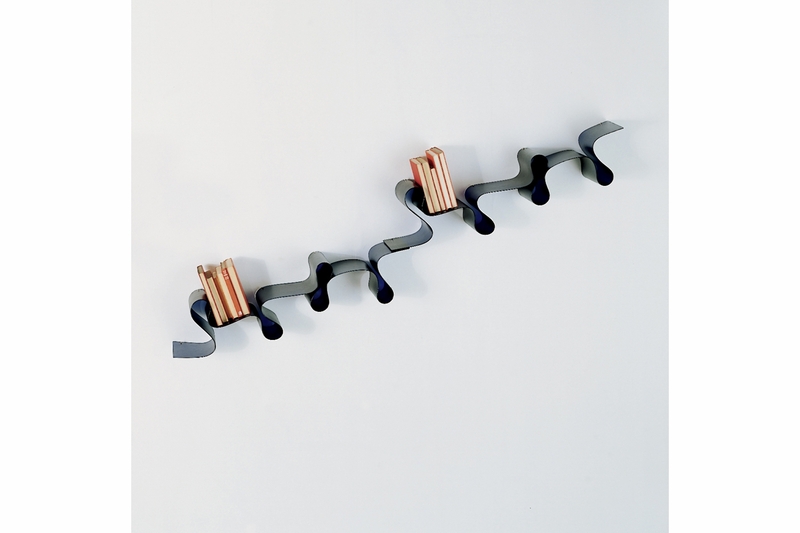 Like Bookworm, the concept of a personalized bookshelf arranged according to taste: Lovely Rita resembles a ribbon folded back several times on itself. 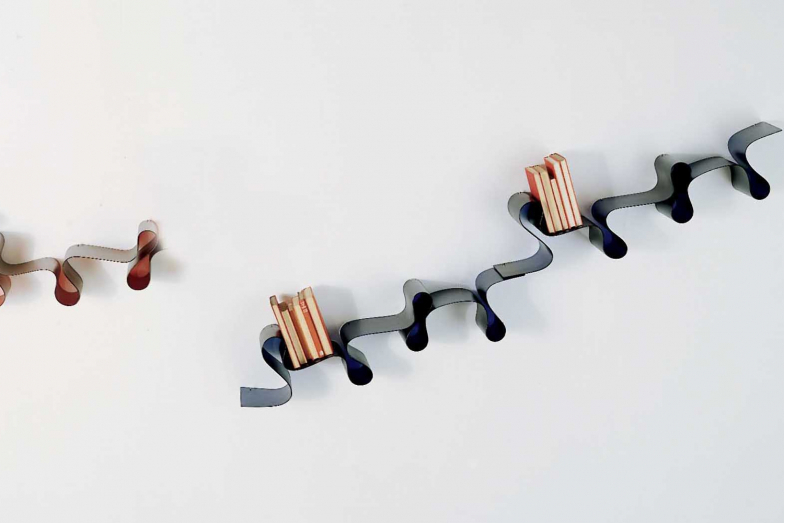 Lovely Rita can exist as a single shelf or can be fitted side-by-side with a series of modules to form an out-and-out bookcase of desired length. It is available in black, cobalt, wine red.